All Marilyn Manson items listed below are authentic and very limited. We do not carry multiple items. All prices and availability are subject to change. All prices include shipping and handling for all USA customers. All other destinations will require actual shipping cost to complete transaction. Have a question? Ask us before purchasing the item. Thank You. 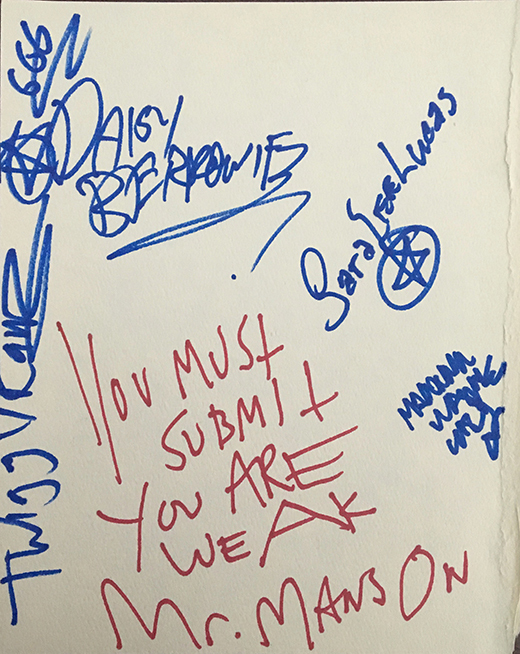 Note: Item signed on Marilyn Manson's 1995 US tour at Last Beat Records in Dallas, TX. 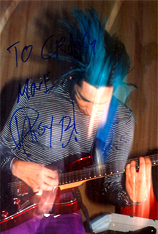 Description: 4x6 original photograph taken on Marilyn Manson's 1994 US tour signed by Daisy in blue sharpie pen. Personalized to Craig.